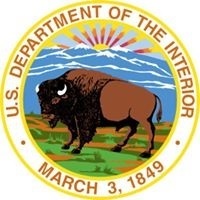 WASHINGTON – (RealEstateRama) — National Park Service (NPS) Deputy Director P. Daniel Smith announced the selection of Cameron (Cam) Sholly to be the new Superintendent of Yellowstone National Park. Since early 2015, Sholly has served as the NPS Midwest Regional Director, and he manages a team of 2000 employees, a budget of over $250 million, and the operations of 61 national park units spread across 13 states. Over the past three years, national parks within the Midwest transferred nearly 800 bison to state and tribal governments through a transparent and collaborative process. During his tenure in the Midwest Region, Sholly also has overseen several major planning processes, including the recent signing of the record of decision to reintroduce wolves to Isle Royale National Park. The region also supported efforts with states to develop wildlife and land management plans, including a plan to address Chronic Wasting Disease in elk populations in South Dakota. He has improved business processes in the region and collaborated with partners on a variety of complex and important park issues.In 2016, Sholly also established a regional Office of American Indian Affairs, to build stronger tribal relations across the region.